It's bad enough having to cancel every single one of their ads on the sidebar, but I thought I was supposed to only get sent ads based on preferences in searches - which don't include Crossover. How please, do I stop getting ads from Crossover in my emails? 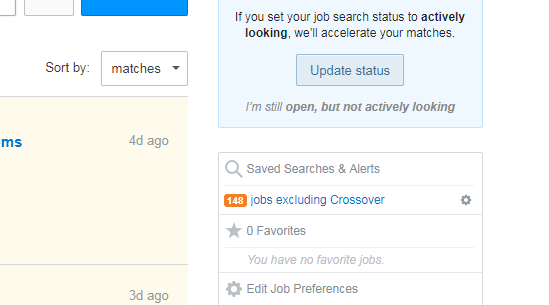 Update: You can now exclude specific companies in your job preferences. Once excluded, you should not receive any job recommendations from that company, including the email mentioned in the post. 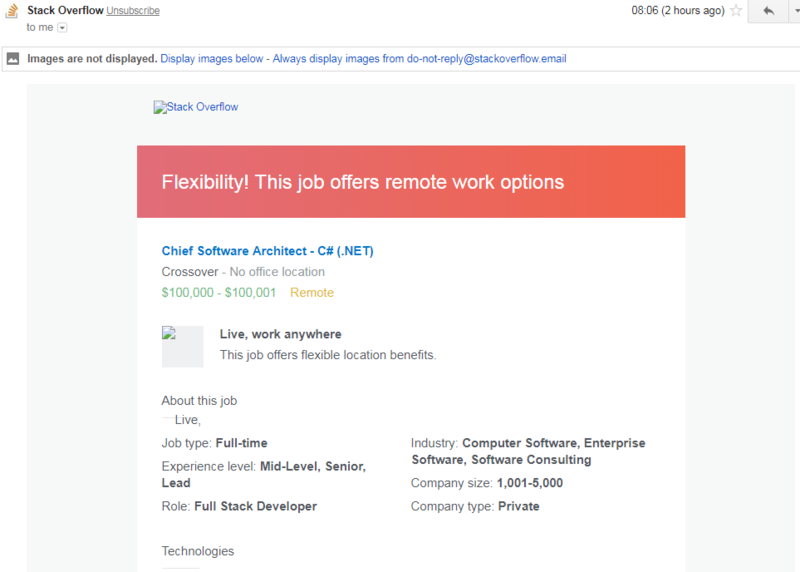 You have a job alert set up which is a daily email that includes any job that matches your the exact search criteria you saved. 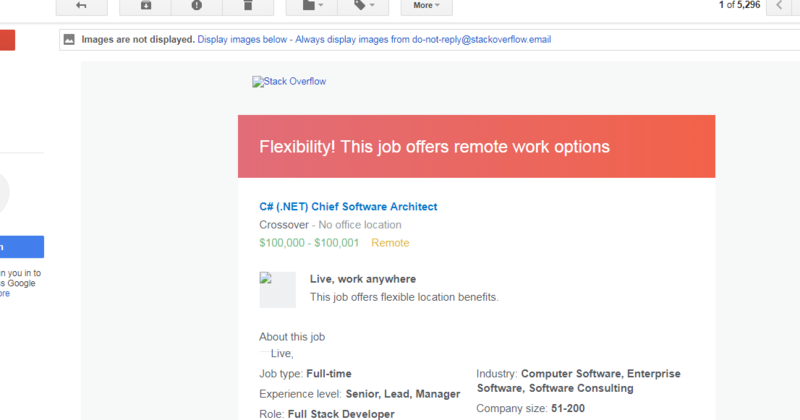 The emails you get from that specific alert should not include jobs for the company you excluded. The email you referenced is a weekly job recommendation email which is based on your job preferences. Currently, you can't explicitly exclude companies on this page however you can "dismiss" a company by going to the company page and clicking "dismiss company" at the bottom. This action will ensure the company is excluded from recommendation emails as well. Also, if you don't want any job recommendation emails, you can unsubscribe from the Recommended Jobs category here. Thanks for the feedback here. Seems like it'd be useful for the job preference page to allow you to exclude companies like you can with tags.